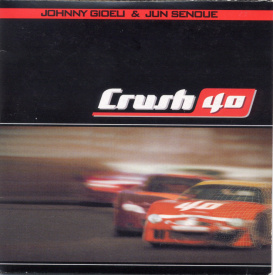 Crush 40 is the eponymous second album by the band formerly known as Sons of Angels. It is essentially a reissue of their first album for a western audience, removing the instrumental tracks and adding in the main theme to Sonic Adventure 2, "Live and Learn." There are also two bonus tracks, "It Doesn't Matter" from the first Sonic Adventure and "Escape from the City." While both are Jun Senoue compositions, neither are actually Crush 40 songs. This page was last edited on 8 October 2018, at 21:52.